Each paid conference fee is inclusive of the 15-Sep Welcome Reception and 17 Sep-Conference Gala Banquet. Please indicate your preferred meal type at the time of registration. All are welcome! A limited number of tickets may be available for purchase during the conference registration period by those wishing to bring along a companion. These are subject to seats being available and on a first come first served basis. Each paid ISCSLP conference registration fee is inclusive of the 12-Sep Heritage Tour (must book during conference registration) and 13-Sep Conference Banquet for one person only. Please indicate your preferred meal type at the time of registration. All are welcome! A limited number of tickets may be available for purchase during the conference registration period by those wishing to bring along a companion. These are subject to seats being availability and on a first come first served basis. Join us for our INTERSPEECH 2014 Welcome Reception on the 15th September 2014, 7pm at the Max Atria Gallery and be treated to an evening of delectable canapés, refreshing young coconuts, all-day ice cream and interactive exchange with your fellow delegates! The evening will be kick-started with an engaging Lion Dance performance so please do bring your cameras to capture these adorable lions in action! Let your senses be treated to an evening of sumptuous dining and entertainment on the 17th of September, as we invite you to our Interspeech 2014 Conference Gala Banquet in Raffles City Convention Centre. Opening with an address from our General Conference Chairperson Dr Li Haizhou, the evening will be followed by an exquisite Oriental 8-course dinner spread along with an entertaining line-up of ethnic drumming and singing. We look forward to spending an eventful evening with each and every one of our esteemed guests and we ensure that you will be well-fed and thoroughly engaged through the night! Embark on a heritage tour down Little India and be teleported to into the heart of Mumbai and Delhi, all within the heart of Singapore! Named after the great British administrator, Sir Colin Campbell, Campbell lane is a small lane nestled in between Serangoon Road, the Little India thoroughfare and North Bridge Road. Through the numerous amenities housed here, Campbell Lane truly depicts the Indian culture and traditions. One can find a wide assortment of shops, stores and stalls selling an array of items like flowers, pashminas, intricately carved wooden furniture and other elegant wood products. This place will definitely provide a good source of souvenirs. 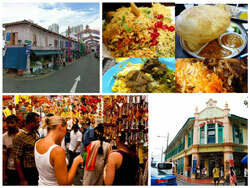 The Little India Arcade is the place to go for authentic Indian food, music and fashion. More Mumbai or Delhi than Singapore, this cultural hub is arranged in carefully conserved shop houses which date back to the 1920s. It sells silk saris, gold jewelry, knick knacks, silverware, handicrafts, collectibles and other goodies from the Indian subcontinent. 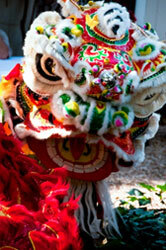 You’ll also find bargain electronics and traditional Indian clothing and souvenirs. Make sure you sample some of the scrumptious food on offer, like curry served on a banana leaf, which is among the best Indian cuisine available anywhere in Singapore. Rich in heritage and culturally significant to the Malay community in Singapore, Kampong Glam is sometimes known as the “Muslim Quarter” due to its history. 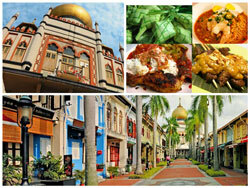 The area remains a centre for Muslim activities and the Sultan Mosque remains a major landmark and congregation point for Singapore Muslims. The Sultan Mosque is one of Singapore's most impressive religious buildings, and the focal point of Muslims in Singapore. The main prayer hall can hold up to 5,000 worshippers, and is one of the biggest and most amazing religious structures in Singapore. Don’t forget also to check out the mosque’s dome base! It was formed out of many glass bottles collected by devotees, and is definitely a great sight to behold! During colonial times, this was the heart of the Arab kampong and catered to the Muslim community’s religious needs. Nowadays, you’ll find an eclectic mix of old haberdasheries and new shops selling local wares, such as versions of the famed Singapore Airlines kebaya dress, decorative trinkets and accessories, and books relating to Arabic and Muslim culture and religion. 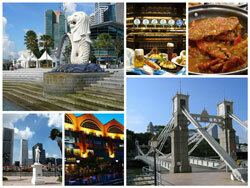 Embark on this heritage tour to understand and rediscover the colonial roots that founded present-day Singapore! Officially opened on the 15th September 1972 by then Prime Minister of Singapore, Mr Lee Kuan Yew, the Merlion Park is home to the ever-iconic 8.6 meter-tall, water-spouting Merlion. Located beside the picturesque One Fullerton and commanding a breathtaking view of the Marina Bay, a photo with this Singapore icon is definitely a must. Built in 1869, Cavenagh Bridge was named in honour of Colonel Cavenagh, the last Governor of the Straits Settlements appointed by the British East India Company. It is the oldest surviving bridge across the Singapore River, and was once used as the main connection between Commercial Square and the Civic district. The very spot that revolutionized the development of Singapore from a modest fishing village to its present-day grandeur, the Raffles' Landing Site is the location where tradition holds that Sir Stamford Raffles landed in on 29 January 1819. Be sure to snap a photo with this iconic statue! One of the must-see cultural enclaves in Singapore, Chinatown is the islands traditional Chinese quarters that still retain hints of its original historical charm despite the rapid modernization of Singapore. Enjoy a great mix of heritage, shopping as well as a wide variety of food options as you embark on this fascinating peek into Singapore’s Chinese culture and history. The largest and oldest Hindu temple in Singapore, the Sri Mariamman Temple is still one of the most prominent places of worship for Hindu devotees all over the country, her brightly coloured facade standing among the most recognisable landmarks of Chinatown. With an impressive architectural style that is based on the Tang dynasty, the Buddha Tooth Relic Temple & Museum was built to house the tooth relic of the historical Buddha. It is a living cultural monument in the heart of Chinatown featuring exhibitions relating to various facets of religious arts and culture of Singapore. Definitely a go-to for souvenir shopping, Pagoda Street was named after the pagoda-like gopuram of the Sri Mariamman Temple. 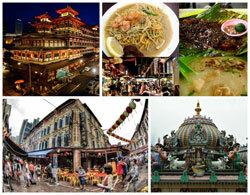 Housing a wide array of stores and shops, Pagoda Street is bountifully rich in food, ornaments and souveneirs. 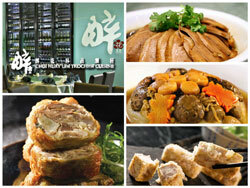 Making up 21% of the Singaporean-Chinese population, the Teochew community is the second-largest subgroup of Chinese in Singapore; contributing significantly to the distinctive flavors of what we know as Singaporean-Chinese cuisine today. By using only the freshest of ingredients, the hallmark of Teochew cooking lies in the finesse in preparing delicate, light and heart-warming dishes. Therefore with that in mind, we would like to humbly extend our invitation to our delegates to join us for an authentic Teochew banquet in our ISCSLP 2014 Conference Banquet in Chui Huay Lim Teochew Cuisine on the 13th Sep 2014. Accompanied with the sights and sounds from the Teochew Opera performance by Thau Yong Amateur Musical Association, we ensure your evening will definitely be a culturally engaging one and we look forward to spending it with you. From 21:00 – Coach transfer back to Capri By Fraser. Enjoy a leisurely scenic cruise along the Singapore River on a traditional bumboat as you absorb the history and many memories of Singapore. Be awed by the sky-scrapers that tower over the river, historical monuments regally positioned, adding grandeur and age-old charm to the area and of course, the beautiful evening sky soon to be sprinkled with stars. There are many bridges in Singapore and the boat ride is a good way to see the bridges. You will also be able to have a good view of the Merlion Park (and understand why it is so popular with tourists), as well as the beautiful sights of the Marina Bay Sands, Fullerton and Clark Quay. Next head to disembark at the Singapore Flyer, for a delightful flight on the world’s largest Giant Observation Wheel (165 metres). One of Asia’s biggest tourist attractions, the Singapore Flyer offers you breathtaking, panoramic views of the Marina Bay, our island city and beyond. 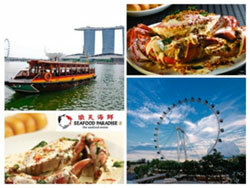 After an eyeful of Singapore’s beautiful skyline from both the air and the sea, head over to Seafood Paradise and enjoy a sumptuous dinner of Chilli Crab, Cereal Prawns, baby squid – the must-try dishes loved by both Singaporeans and Tourists.